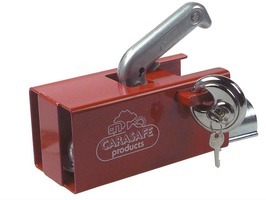 The Caraloc 2000 Complete Exterior Door Lock is a widely fitted caravan door lock,available in left or right hand versions and is supplied with fixing screws and 2 x WD keys. 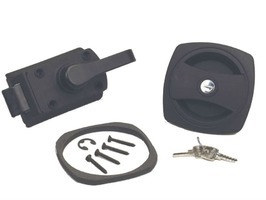 Caravan WD Barrel Lock Long Tang and 2 Keys is a replacement barrel lock for the very popular West Alloy Caralock WD exterior door locks and outside compartment locks as fitted to many caravans. 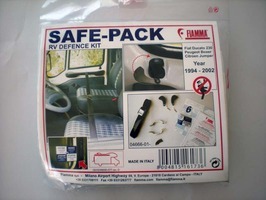 Fiamma Safe-Pack is designed to increase the protection of your Fiat Ducato, Peugeot Boxer and Citroen Jumper 1994 - 2002 against theft. 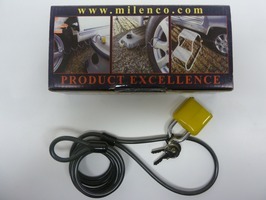 The Milenco Accessory Lock is ideal for securing your caravan and motorhome accessories such as generators, solar panels, bicycles, steps, aquarolls, wastemasters etc,. Whether you use your Caravan or Motorhome regularly or only travel in the vehicle once or twice a year, it’s important to keep Security in mind. Despite the cost of purchasing and maintaining a Motorhome, many owners overlook key Security precautions. Unfortunately, this leaves your vehicle vulnerable to opportunistic thieves and can be a costly mistake to make. 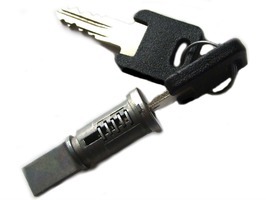 However, there is a range of Security options which can help to ensure your Caravan or Motorhome is safe at all times. Whether it’s parked in your driveway at home, stopped at a motorway service station or set up at a dedicated site, you can ensure that your vehicle and your belongings remain secure. Although a Hitch Lock may not provide enough protection for when your Caravan is in storage, it can be ideal for when you’re on the road. By tethering the Caravan to your car, a Hitchlock can prevent thieves from targeting either of your vehicles. Of course, it’s important to select an appropriate Hitchlock for the make and model of your Caravan. 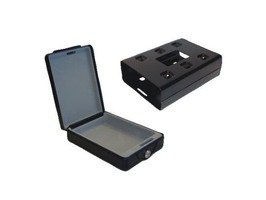 It’s essential that the Device is tamper-proof and that it encases the hitch head, as well as the surrounding bolts. 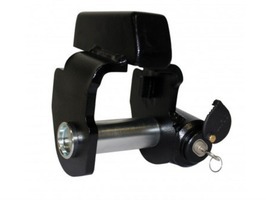 Whilst a Hitch Lock may not provide an effective year-round Security solution, it is perfect for times when you need to secure your Caravan quickly and for relatively short periods of time. It's also good practise to use a Hitchlock in conjunction with a Wheel Clamp while the Caravan is in storage. With so many products on offer, it can be hard to decide which option is right for you. When purchasing an Alarm or Tracking System, it’s important to identify a system which meets your needs. When selecting a Tracking System, you’ll want to assess the power consumption so that it offers a reliable form of Security. You’ll also need to decide whether or not you want to be alerted to potential threats immediately or if you’d like the threat to be received by a monitoring service. Although a monitoring service may be a more costly option, if you store you Caravan away from your home or you are unavailable on a regular basis, it could provide a more robust response to potential attacks. As technology has developed, the use of satellite Tracking Systems has increased and they can be an effective way of locating your vehicle. 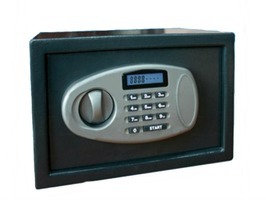 However, don’t be fooled into purchasing the most popular Alarm system on a whim. It’s generally best to conduct some preliminary research so that you can ensure the efficacy of the system. As with any Security Device, you’ll need to find an Alarm or Tracker which suits your needs and the needs of your vehicle. 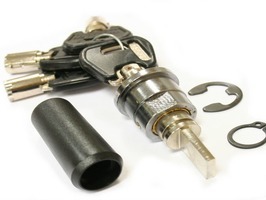 Often overlooked, a Motorhome steering Wheel Lock may be a traditional Security Device but it can certainly be effective. 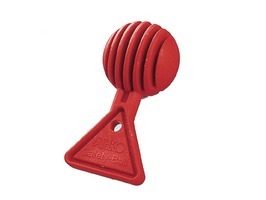 Reliable products prevent the steering wheel from being turned at all, meaning that thieves are unable to simply drive away in your Motorhome. In addition to this, they can offer a visual deterrent to opportunistic thieves who may be looking for a vehicle to steal. 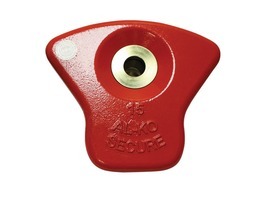 Similarly, Motorhome and Caravan Wheel Clamps and Wheel Locks are designed to prevent the vehicle from being moved. 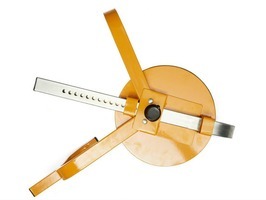 More resilient than a Wheel Clamp, a Wheel Lock is fitted through the wheel and Locks into the brake assembly. Although fitting a Wheel Clamp usually requires more effort than a Hitchlock, it could prove invaluable if your Caravan were to be targeted. As with any Security Device, you’ll want to ensure that the model you choose is robust enough to withstand potential tampering. 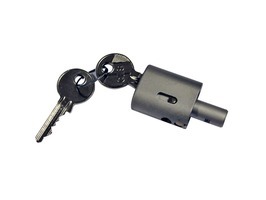 If Locks are exposed, for example, would-be thieves could simply drill the lock out and remove the Device. Selecting a Wheel Lock which prevents such access should ensure your Security system is as impenetrable as possible. 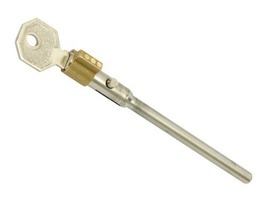 If you’re looking for Security when your Caravan is situated on site or in storage, Corner Steady Locks can be ideal. Locking the legs of the vehicle into a down position means that it would be more difficult to tow or transport. 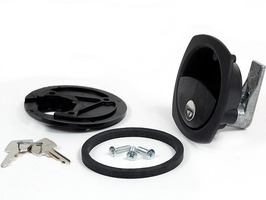 As opportunistic thieves will often look for vehicles which are easy to move, Corner Steady Locks can be a cost-effective way of securing your Caravan or Motorhome. 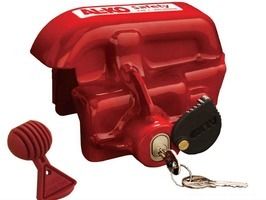 Although it may seem like an obvious Security concern, many Caravan owners don’t think of upgrading their Door Locks until it’s too late. Even if you’ve owned your Caravan or Motorhome for some time, you may still be relying on the Door Locks that were fitted originally. 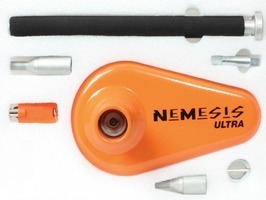 In addition to allowing thieves to steal your vehicle, flimsy Door Locks could also enable people to enter the vehicle without your permission. Once inside, they may target your belongings and you could lose a significant amount of equipment, as well as personal items which may be of sentimental value. 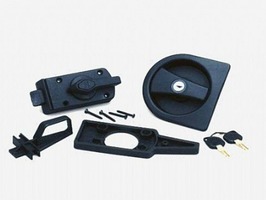 However, adding new Locks or replacing existing ones can increase your Caravan Security considerably. 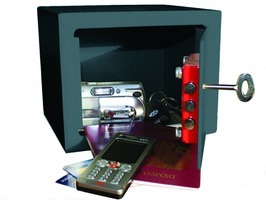 If you’re concerned about your valuables being taken, you may also want to invest in a Caravan or Motorhome safe. As new technology has developed, Door Locks are now more secure than ever. 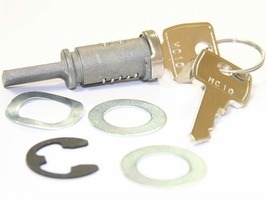 With a range of options, new Locks can be obtained and added to your vehicle easily, even if you’re on a budget. When considering your Security options, you’ll want to ensure that the products you choose are independently tested. Devices which are insurance approved are often the best as they can boost Security, as well as reducing your insurance premiums. Remember – Security isn’t a one-off concern or a temporary measure. Would-be thieves are constantly looking for ways to outsmart new Security Devices. By keeping up-to-date with new Security measures, you can ensure that your vehicle remains safe and secure. If you’re planning on purchasing a Caravan or if you want to overhaul your existing Security system, why not take get in touch with us? We have a range of Security options and we can help you to find the products which will provide the most robust Security for your model.